Расширение и углубление знаний, умений и навыков в овладении иноязычной коммуникативной деятельностью (аудирование, говорение, чтение и письмо). Стимулирование интереса учащихся к изучению предмета «Практическая грамматика». Всестороннее развитие личности, включая интеллектуальную, эмоционально-волевую и духовно-нравственную сферы. Расширить кругозор и обогатить лексический запас учащихся. Воспитать культуру общения на иностранном языке. Усовершенствование знаний, навыков и умений в использовании изученных грамматических форм и правил в устной и письменной речи, аудировании, чтении. Развитие их творческих способностей, самостоятельности. Воспитание любви и уважения к людям своего родного края и страны, язык которой изучается. Контроль сформированности грамматических, лексических и фонетических навыков и умений учащихся. Форма проведения: олимпиада, мероприятие соревновательного характера. Третий этап Олимпиады. Listening of the text for the comprehension “The Secret Seven”. Четвёртый этап Олимпиады. Grammar test. T. – Good afternoon, students! I am very glad to see you at our Grammar Olympiad. Today we’ll see who is the best of all in English Grammar; whose skills and habits in speaking English, hearing, reading and even writing are the most perfect ones. The First stage: Warming-up. We’ll revise some grammar points. The Second stage: Speech “What do you feel about learning grammar?” We’ll be listening to your short topics on this theme. The Third stage: Listening of the text for the comprehension “The Secret Seven” We’ll check your skills in hearing and grammar skills, too. The Fourth stage: Grammar test which consists of some questions. Now I want to introduce you our jury: they are our English teachers and our Methodist. T. – You should give the right answers as quickly as possible. 1) 1.This … a blue tie. 2. What … your father do in his spare time? A) I not usually have lunch at home. B) I usually have not lunch at home. C) I doesn't usually have lunch at home. D) I usually have lunch at home. 5. Say Degrees of Comparison of the given adjective: curious. The train … when they got to the station. 2) 1. That box … green. 2. When	… you clean your teeth? A) My friend don't goes to the cinema a lot. B) My friend not goes to the cinema a lot. C) My friend goes to the cinema a lot. D) My friend doesn't goes to the cinema a lot. 5. Say Degrees of Comparison of the given adjective: polite. He wanted to know where she … her holidays. 3) 1. These … red pencils. 2. Why … they learn poems by heart? A) Do his father drive a car very fast? B) Is his father drive a car very fast? C) Does his father drives a car very fast? D) Does his father drive a car very fast? 5. Say Degrees of Comparison of the given adjective: gloomy. We asked if he … to join us. 4) 1. This … a piece of chalk. 2. Who … always walks with your dog? A) Do the shops close at 8 o'clock in the evening? B) Does the shops close at 8 o'clock in the evening? C) Do the shops closes at 8 o'clock in the evening? D) Are the shops close at 8 o'clock in the evening? 5. Say Degrees of Comparison of the given adjective: attractive. John hoped that by the next evening she ... his letter. 5) 1. Those … good books. 2. What time …	you get up? A) You often play basketball? B) Do you often play basketball? C) Is you often play basketball? D) Are you often play basketball? 5. Say Degrees of Comparison of the given adjective: careless. The bus … when they came to the station. 6) 1. The doors … brown. 2. How much …	your sweater cost? A) She come home early. B) She not comes home early. C) She don't come home early. D) She doesn't come home early. 5. Say Degrees of Comparison of the given adjective: dull. They asked her if she … to visit them. T. – And now your topics “What do you feel about learning grammar?” What do you think: is it necessary to study English Grammar or not? In some minutes we’ll listen to our participants’ opinions. While our students are preparing, we’ll play with you, our guests. Для описания ряда последовательных действий в прошлом. Past Simple Tense. Для описания запланированного действия, которое произойдёт в ближайшем будущем (глаголы движения, to have). Present Continuous Tense. Для выражения будущего действия, которое закончится до определённого момента в будущем. Future Perfect Tense. Для описания действия, которое происходило в определённый момент в прошлом. Past Continuous Tense. Для выражения действия, законченного в прошлом, но связанного с настоящим через результат. Present Perfect Tense. 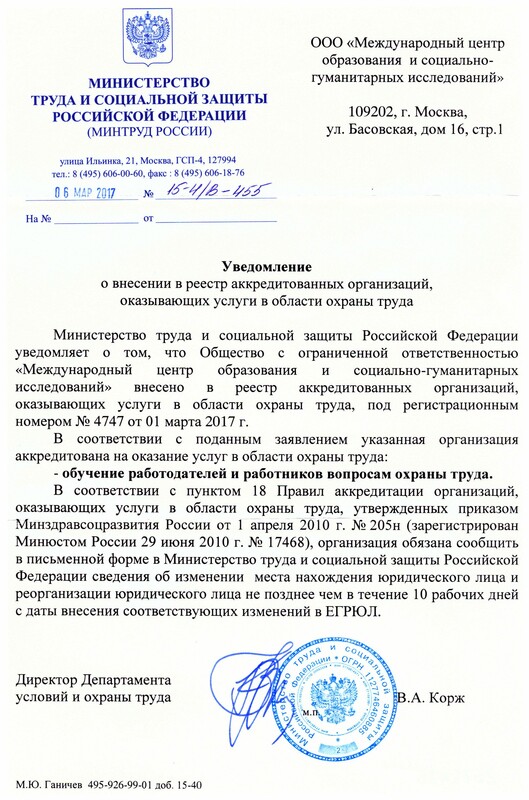 Для описания законов природы, общеизвестных фактов, часто в пословицах. Present Simple Tense. Для описания длительного действия, которое будет протекать в определённый момент в будущем. Future Continuous Tense. Для описания действий, которые были закончены к определённому моменту в прошлом. Past Perfect Tense. Для описания действия, которое началось в прошлом, длилось какое-то время в прошлом и продолжается в момент речи. Present Perfect Continuous. Для выражения одного или нескольких действий в будущем; принятие решения в момент речи. Future Simple Tense. Для описания типичного действия, вызывающего раздражение, неодобрение со стороны говорящего. Present Continuous Tense. The capital of Australia is Sidney. False. Blond beards grow faster than dark beards. True. Nearly one sixth of the world’s land surface is desert. True. There were ten days in the ancient Egyptian week. True. A boxing round lasts 15 minutes. False. You get shorter when you are sleep. False. Mozart was born in Germany. False. Video games were invented in the 19th century. False. There are about 2 million bacteria on your face alone. And that’s after you’ve washed! True. Worms have very tiny legs. They are so small that you cannot see them without a microscope. False. The word “octopus” means “eight arms”. True. Diamonds and coal are made of the same chemical element. True. There are fifty stripes on the American flag. False. The Bermuda Triangle is an island. False. Участники представляют своё монологическое высказывание по предложенной теме, состоящее из 12-15 предложений. Listen to the text carefully for the first time and then you should say if the given sentences are right or not, true or false. Участники прослушивают текст один раз и выбирают предложения, соответствующие содержанию текста, поднимая карточки «YES» или «NO». 1. On the door were the letters S.S. painted in green. True. 2. That day the password was “cats and dogs”. False. 3. Jack sister’s name was Pam. False. 4. It was Susie who had taken Jack’s badge. True. 5. Jack felt very angry with Susie. True. 6. They discovered that everybody had a set of Red Indian clothes. False. 7. Colin didn’t much want to be stalked by all six of them. True. 8. They agreed to meet there at four sharp. False. T. - And now let’s listen to the text again and mark those Grammar phenomena which you will find in the text. T.- While our jury is counting the points, we’ll try to read “Kidnappers’ Letter”. Two men have kidnapped the son of a millionaire. They are going to send him a letter, and they have cut these words out of a news paper/ can you put the words in the correct order? We want $ 500,000 in cash. The money must be in $ 100 notes. Bring the money to the car park at 4 o’clock in the morning. Don’t show this to the police or you’ll be sorry. If you don’t bring the money you’ll never see your son again. T. – And now the last stage of our competition: Grammar test. T. – Put the verbs into the correct form and read the proverb. T. – And now we’ll see, our guests: are you a Romantic or a Realist? Let’s fulfill one test, choose your answers. Do you become jealous (ревнивая) if your boyfriend talks with other girls? Do you often have mood swings (меняется настроение)? Do you like to invite people to your place? Yes, I love a full house. It’s pleasant to have guests from time to time, but it’s also nice when things return to normal. I don’t mind occasional visitors, but I don’t really care to have company. Do you enjoy reading stories about the private lives of famous people? Do you like to spend money? When you look at the clouds, do you:? Do you feel there can ever be peace in the world? Yes, people can learn to settle their problems peacefully. No. You can’t change human nature. 50-60: You are a true Romantic – someone who builds castles in the air. There’s nothing wrong with it. True romantics believe the world can be wonderful place and they keep trying to make it just it. Be careful, however! People like you are easily depressed. 36-49: Call yourself a romantic skeptic. Deep down you feel that life is not a fairy tale, even though you wish it were. You may have a problem with self-esteem (уверенность в себе), because you can create wonderful dreams but lack the confidence to make those dreams become reality. 22-35: You are a soft realist: you take the world as you find it, but you also understand that life is dull without love, beauty and emotion. People like you can be pragmatic without being hard-hearted (жестокий). 12-21: You are a true Realist with no illusions about the world. You are pragmatic and don’t make excuses. You don’t lose sleep over things you can’t change and are very independent. Unfortunately, you don’t realize that life’s horizons are broader than you think. 2. Choose the right form: I wish you ... at our party on Saturday. It was rather funny. 3. Choose the right variant of the Reported Speech: "Don't watch much television", Mother said to her son. 4. Fill in the blank: This film is as ... as that one. 5. Say it in Passive Voice: Nobody lived in that old house. A) That old house lived nobody in. That old house was not lived in. In that old house was not lived. Nobody was lived in that old house. In that old house nobody lived in. 6. Finish the question: Susan has got to mark this test later , ... ? 7. Change the underlined word: You should do morning exercises regularly. What the workers didn't know to do with the snow. The workers didn't know what to do with the snow. The workers know what didn't to do with the snow. What to do with the snow the workers didn't know. E)	The snow didn't know what to do with the workers. 9. Say it in Passive Voice: They have just seen him in the street. He was just seen in the street. They have just been seen him. He has just been seen in the street. He had just been seen in the street. E)	He has just seen them in the street. 10. Make the right choice: The translation of this article ... by next Tuesday. Выполненные задания сдаются в жюри, члены жюри проверяют работы участников и подсчитывают балл. T.- While our jury is counting the points, we’ll sing the traditional Christmas song “Jingle, Bells!” Our guests, you have got papers with this song, but some of the words are missed. Complete the text, please. All together! Laughing all the way (3). T. - We are interested to know who is to be the BEST in our Olympiad. Let our jury say us the score and name the best of the best. Слово предоставляется жюри, которое подводит итоги последнего конкурса и называет победителей Олимпиады. T. - Our dear guests and participants! I wonder if it was interesting here. Was it useful for you? Have you known something new? So, thank you for your attention and participation in our Olympiad.